One of the most effective tricks is submit the URL of your blog to the social bookmarking which having High Page Rank, for example, or other VIVAlog so Google will glance at the Blog. Social bookmarking is a platform to share, promote, and increase blog traffic the best and most interesting in Indonesia. Anyone welcome to send blog. After creating a blog and a new article, you should do the following steps in order to quickly indexed and hopefully future blog can dominate the search engines. This technique has been demonstrated in several blogs, and now the average article are in the top 10 of Google, or yard that is not far away. 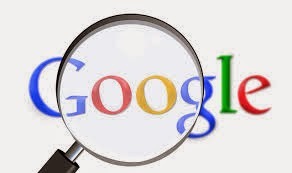 Appear in the Google search is a certain satisfaction, the average blog competitors abroad and against hundreds of thousands or even hundreds of millions of web blog. This blog only imagine that he was not using blogspot SEO (Search Engine Optimization) friendly and he was not able to compete in search engines (this opinion of some people) and free SEO capital only, able to subvert great blog on the web or specific keywords. Actually, the key point is to choose the type / template / theme for the blog. Choose Theme SEO Friendly, (you can searching) with loading fast enough. For blogspot, replace the default template with template blogspot free SEO Friendly. Do not install any accessories used in the new blog. Post the first 2 or 3 articles genuine / original that had been prepared. Remember! just post it, do not do anything, and is expected to also do not post more than 4 article, because the future can be considered Spam! Although not considered spam. Remove Blog Archive from Layout. Blog Archive can actually reduce the value of quality blogs by Search Engines, unless you know the trick (Archive regarded as duplicate content by the search engines, unless modified its setting robots.txt or meta tags added as the third step, it may be used). Future could use a recent post (latest articles), or related articles (articles related), and for Cool post (most popular) good enough to be used. Change Settings in the Menu Blog, like Basic, Post and Comments, mobile and email, Language and formating, Search Preferences, Other. Basic: Fill Blog Title as you wish to be given names. Blog Description filled too, Privacy select listed on Blogger, Visible to search engines. Post and Comments: Select 5 posts only to the main page. Others can be adjusted. Search preference: Custom robots.txt enabled, filled box as below, can select one or all of them wrote enter the following code in it. Note: For Sitemaps: http://urblog.blogspot.com/sitemap.xml applicable in blogspot, whereas if it has become a Top Level Domain is better to removed. Change the name of the blog is blue with the name of your blog. Then, Custom robots header tags used enabled. Immediately submit a sitemap to Google Webmaster Tools, searching how to submit a sitemap to Google Webmaster, if not already know. Google Webmaster available at Blogspot, if you click the Overview, the lower right are the Open Webmaster Tool. Fetch as Google in Webmaster Tools, once is enough, or could fetch again on another day. If there is an update to fetch again. Blog Ping, using automatic Ping sites are free, for example, googleping searching on Google "automatic ping". Ping blog do not most, use one site only for ping, and should 1x daily. Immediately submit one or more articles in some high Page Rank social bookmarking (be searching in google, social bookmarking Indonesia) DoFollow.